In a Nutshell: Few things are as important as healthy finances, so when it comes to finding a financial advisor, we all want the best of the best. While few actually have the ability to put together their dream-team of financial experts, you can get the next best thing — with MoneyShow. By hosting eight annual conferences, MoneyShow connects high-net-worth individual investors and active traders with some of the brightest minds in the industry. For a more intimate setting, MoneyShow offers seminars at sea, exclusive cruises where investors can meet, mingle, and learn with experts from places like Forbes Magazine. MoneyShow also works to educate the next generation of investors through MoneyShow University, a program aimed at providing college students with the knowledge to build solid financial futures. Every industry has its bigwigs and heavy hitters, those who are simply the best at what they do — and that includes the world of finance. Though not always garnering the mainstream celebrity of their athletic or artistic brethren, the crème de la crème of finance are definitely considered hot commodities within their industry. For instance, if you could envision your ideal financial advisor, who would it be? Do you daydream of sitting one-on-one with your favorite Wall Street Journal reporter? Or maybe you’ve wondered what Steve Forbes would say about your latest investment or the spread of your portfolio. Unfortunately, the biggest problem with wanting the best of the best is, well, everyone else wants them, too. Few people likely have the ability to call Steve Forbes for a little friendly investing advice. However, connecting with some of the best minds in the business isn’t as impossible as it may seem — thanks to MoneyShow. Aaron West is the President of MoneyShow. 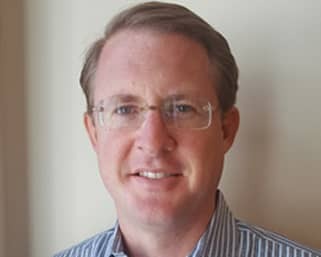 Producing more than a dozen face-to-face networking events, including its namesake MoneyShow conferences as well as sponsored seminars at sea, the company gives investors and traders unique access to some of the brightest minds in finance. Can’t make it to an event? 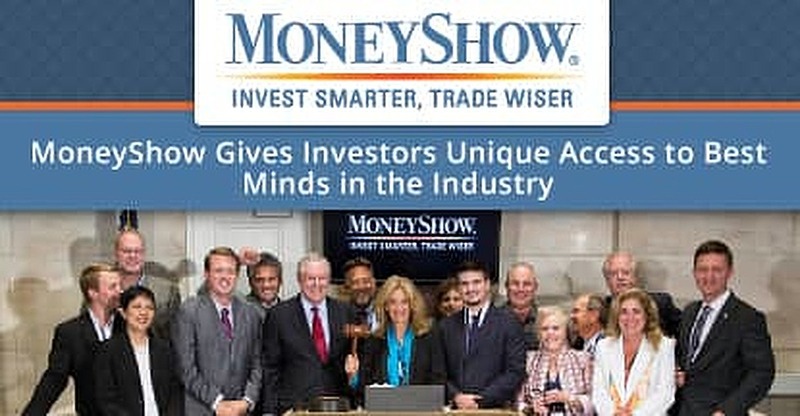 Get the latest articles or webcasts from MoneyShow’s network of more than 1,500 experts online at MoneyShow.com. What do you get when you bring together more than 150 top financial experts, hundreds of workshops, and thousands of individual investors and active traders? You get a MoneyShow conference, of course. Attendees to MoneyShow conferences can access more than 100 free workshops on investing and trading. Taking place in top destinations, like Orlando and Las Vegas, the MoneyShow conferences are usual three days of jam-packed financial fun. In addition to an opportunity to see the latest products and biggest vendors, the shows offer hundreds of educational seminars and workshops. The best part? The whole thing is free to visitors. If the idea of a conference filled with thousands of your fellow investors sounds like a bit of a crowd, MoneyShow’s white-label educational cruises might be for you. Part conference, part classroom, the seminars at sea are entirely luxurious. Produced for groups such as Forbes Magazine and the Young America’s Foundation, they take learning to the next level. The cruises hosted by MoneyShow take place in scenic locations such as Paris, Vancouver, and Budapest. Unlike MoneyShow’s free conferences and online materials, seminars at sea attendees pay cruise fare, generally around $4,000, but enjoy a more intimate experience, with an average of only 50 to 200 people per voyage. In addition to seminars and discussions, the week-long trips allow investors and traders plenty of time to network with the experts. Though the main focus of the MoneyShow conferences and cruises is on the high-net-worth investors and active traders, the MoneyShow team works to uphold its mission to educate. With that goal in mind, they began MoneyShow University in 2014. MoneyShow University connects students with financial experts at MoneyShow events. MoneyShow University has already been fairly successful, with over 1,000 students from more than 100 schools going through the program since 2014. But, according to Aaron, the team wants to see even more students join in. As in any industry, the world of finance has its own celebrities, those experts everyone dreams of having in their corner. Sadly, few people can put together their dream-team of financial advisors, but there is hope. Those investors and traders who yearn for access to some of the best minds in finance can find it at a MoneyShow event. And for all those who can’t make it to a conference or cruise, the team at MoneyShow is unveiling the next best thing.